As the cool weather starts arriving, fall greens are available locally. Spinach is one of the greens that prefers the cooler seasons of spring and fall. 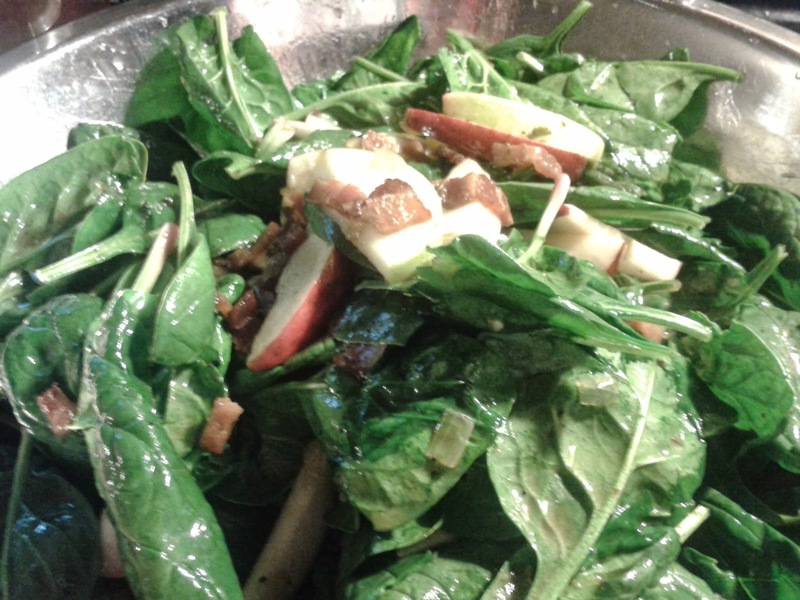 This salad is made with only spinach as the base and tossed in a warm dressing with local apples of your choice! Enjoy! Wash spinach, spin dry, and put in a large serving bowl. Slice bacon, if using, and saute in a pan until crispy. Remove cooked bacon from pan and set aside in a small bowl. Add onions to the hot bacon fat and saute about 1 minute, or until translucent. If you aren't using the bacon, heat skillet, add olive oil and saute onion in oil. Once the onion is cooked add the vinegar, salt, sugar, stock, and pepper. 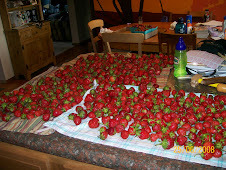 Bring to a boil and reduce by almost 1/2. Meanwhile, wash, core, and slice apples and add to bowl with spinach. When dressing is reduced, taste and adjust seasoning if needed. Add bacon back to dressing and pour hot dressing over spinach and apples. Toss until coated and serve immediately!